Looking back in 2018 - part 2 » What's Under the Needle? 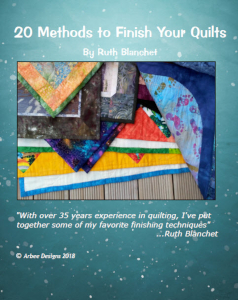 First up, I published a 25-page e-book with 20 different methods of how to finish off quilts. It has how-to's for every method with lots of photos and instructions too. Last but not least, I published was my second mystery workshop which is quite different than my other workshops. 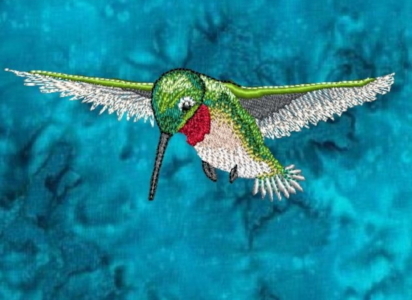 This took a lot of thought with additional learning on how to implement it on the website - a fun exciting new way to learn art quilting! This year I have plans for another workshop (already started), but I'm always open for ideas on what to publish next. 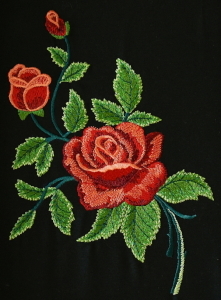 If you can suggest a workshop for me to teach that is not already available at academyofquilting.com (by me or another teacher) and I publish that workshop, I'll allow you free access. Any suggestions? Special Notes: only one person can suggest the same idea. First, person to make the suggestion on the published workshop will gain access. This competition is only subject to my own publishing, not other teachers. 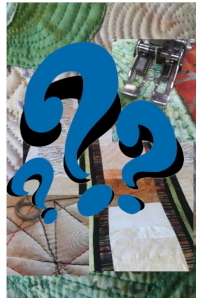 How to use Cricut Maker with quilting. It is the one with a rotary cutting wheel. Using quilting rulers on domestic machine. It takes a special foot and acrylic 1/4 inch templates.